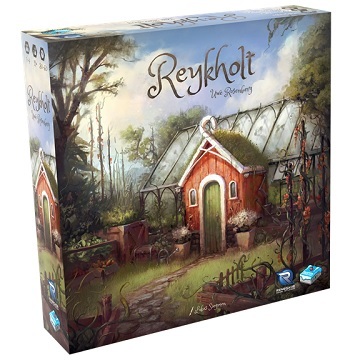 From award winning designer Uwe Rosenberg comes a new game, Reykholt! In Iceland, you can climb volcanoes, marvel at the aurora borealis, count sheep, and eat delicious tomatoes. Thanks to geothermal energy Iceland is a vegetable paradise. Players take on the role of vegetable farmers to build a livelihood in beautiful Iceland! But with all the tourism around the natural wonders, competition to have the best vegetables is fierce!